No, I am not starting my own but am thinking to do this at some point as they are so much fun but at the moment there is a positive avalanche of QALs out there and a handy list can be found here. So far I have joined into the Single Girl QAL and Lynn's Dresden Plate QAL and both were enourmous fun. The best thing about them really is the support and inspiration one gives and receives from each other. At the moment I am without QAL so to say and feel a little cold turkey coming on. So I have been carefully looking around blockland for the right one to do. Now of course everybody knows by now about the Farmers Wife QAL and I won't go into detail about it. The only thing I will say is that it has close to 600 (in words six hundred members). Unbelievable ! 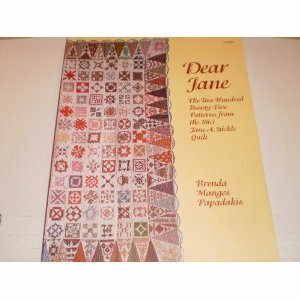 I have long, long harbored the wish to make a monster sampler quilt either using the Dear Jane pattern, The Farmers Wife or the Elm Creek Quilt pattern (is that an American TV series ??). 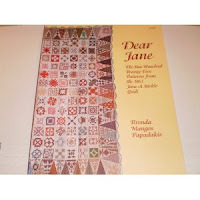 I have already bought the books with the exception of the Dear Jane one and am wondering if one of them or indeed a combination of the best blocks from each would make the ideal pattern for my precious Hope Valley Fabric ! I really would love to hear your opinion on this. 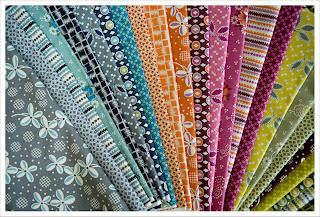 What do you think is the best/ideal/perfect pattern for the Hope Valley fabric collection by Denyse Schmidt.I have had the fabric for a while now and really would love to cut into it but am positively afraid of it in case the quilt I will produce doesn't do it justice. There is one particular QAL though that is right up my street and I am going to join this one. It is run by Faith of Fresh Lemon Quilts, Katie of Swim, Bike, Quilt and Lee of Freshly Pieced and is called the Summer Sampler Series. And I think my Stash of Moda Cross Weave my just be the right fabric for this wonderful QAL. Elm Creek Quilts is a series of novels with a quilting theme. Fun reads. 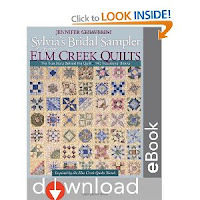 Jennifer Chiaverini is the author of a number of Elm Creek quilt novels and she’s a quilter as well. In the novels she describes a group of quilters working on Sylvia‘s Bridal Sampler. The quiltbook you show above is about Sylvia’s Bridal Sampler quilt. All templates to make this sampler quilt are in the book. The quilt blocks from Farmer’s Wife quilt and Sylvia’s Bridal sampler are 6" finished, but the Dear Jane blocks finish at 4,5". 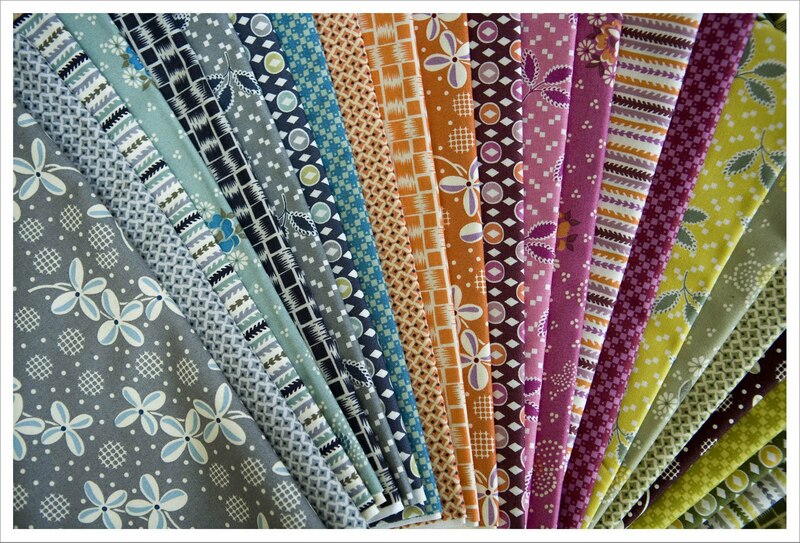 About the Hope Valley fabrics, the prints are small enough to use them in a sampler quilt. 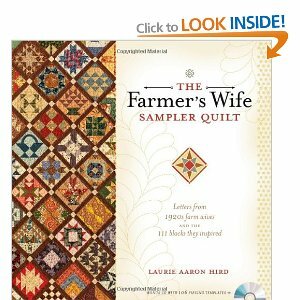 You wll find some pictures in the Farmer’s Wife quilt-along flickr group. There’s also a flickr group of Hope Valley fabris lovers that might inspire you! Definitely check out a lot of the flickr pics and related blogs, although you will see instantly which prints have worked well, or otherwise. The later I am in starting, the more I am learning by the mishaps of others; which 'in theory' should make mine perfect, ha ha! Hope Valley has delightfully small prints so I would think it would be an ideal choice. I'd be tempted to go through all your books and pick my favourite blocks from each, even if they are different sizes - using modern prints and fresh solids will give it a less traditional look, so why not design your own more modern layout? I like the idea of picking out your favorite blocks from each. The Sylvia's Bridal Sampler book comes with the templates and layout instructions but from what I understand The Farmers Wife does not or does not have them both. Sometimes that first cut in that favorite fabric is really tough but you really can't enjoy it if it doesn't end up in a finished product! Looking forward to seeing what you decide to do! The FWQAL is great fun and there is a lot of encouragement and support there. Some people are just adding in made up blocks or others, so there would be no problem adding in your favourites from other books. 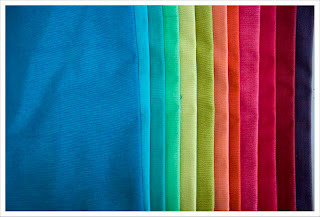 I love that fabric I cannot imagine that it would be anything but wonderful for a sampler quilt. I am doing the FWQAL and I have seen a lot of people using contemporary prints which work really well. I think most of the prints need to be small, as some of the pieces are very small, although some lend themselves to fussy cutting larger motifs. jumpin on the bandwagon---yeay!! 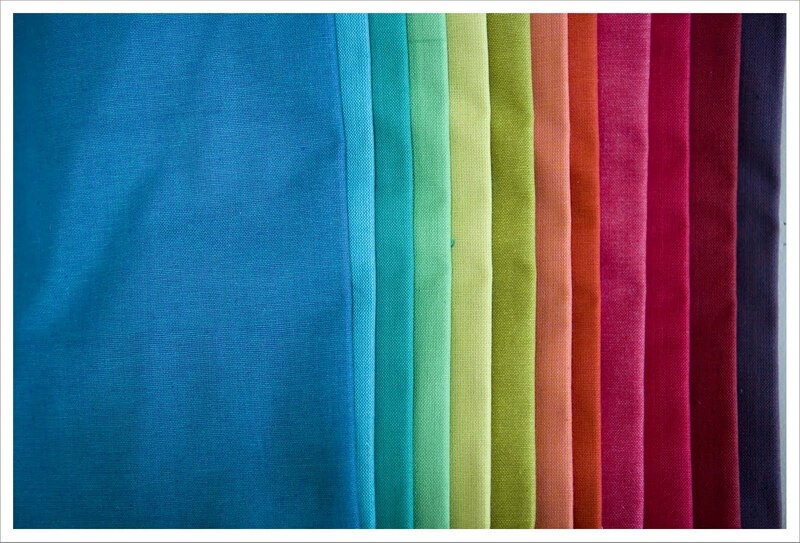 I am still waiting on my book unfotunately:) I think the Moda colors would be fantastic! I'm doing FWQAL with shot cottons, but I think Hope Valley would be awesome! 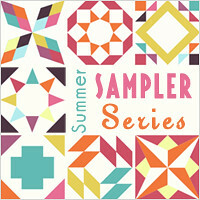 I'm also going to do the Summer Sampler Series--and I think your idea of using the Cross Weaves for that one is a great idea!